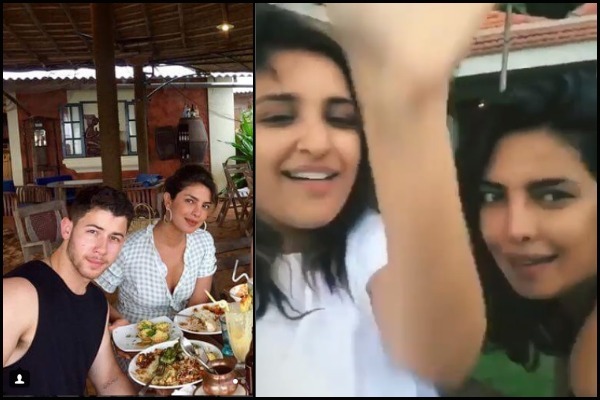 Bollywood’s Priyanka Chopra and Hollywood’s Nick Jonas are on a Goa vacation joined by cousin Parineeti Chopra and PC’s brother Siddharth Chopra. Priyanka Chopra and Nick Jonas are currently the hottest couple everyone is eyeing on. The shutterbugs were curious to click Priyanka Chopra and Nick Jonas when they arrived at the Mumbai airport and the craziness doubled when the couple hid their faces keeping away from the paparazzi. All the PC fans and the Jonas fans are awaiting for the clear and official confirmation from the duo about their relationship, especially after Nick Jonas shared an emoji with the heart popping eyes for Priyanka on his Instagram story. Priyanka Chopra and Nick Jonas were also clicked holding hand-in-hand on a dinner night while in Mumbai. Over the weekend, the couple flew down to Goa for the vacation. 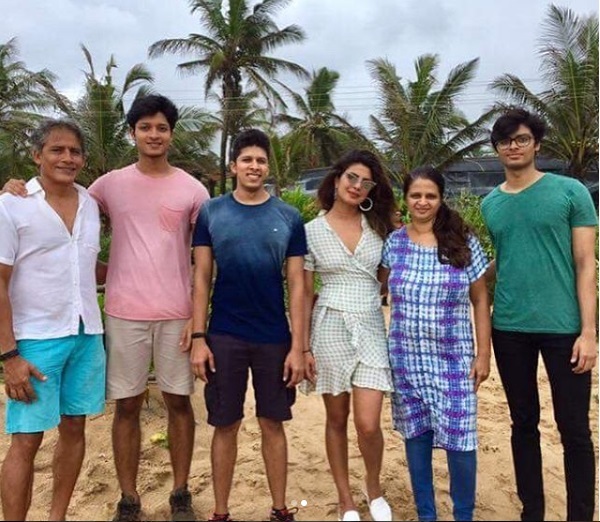 Priyanka’s brother Siddharth Chopra and cousin-actress Parineeti Chopra too joined Priyanka and Nick for the Goa vacation. Priyanka Chopra is currently on a vacation mode and enjoying her holidays in Goa with Nick Jonas, friends and family. 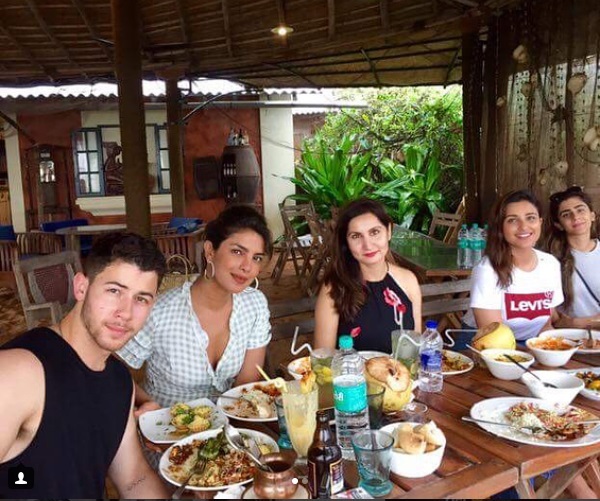 We got our hands on a picture where Priyanka Chopra, Nick Jonas and her family are seen enjoying a big brunch meals in Goa. We are not at all surprised to see fans of Priyanka Chopra in Goa who got lucky for able to get clicked with Quantico girl. As the monsoon is just right around the corner, the Hasee Toh Phasee actress Parineeti Chopra and Priyanka Chopra shook their leg on a romantic rain dance number – Tip Tip Barsa Paani. Parineeti shared the video on her Instagram of how Chopra sisters had fun in Goa. The internet is buzzing with rumours of Priyanka Chopra and Nick Jonas’ alleged relationship after the couple spent US memorial day on yacht together, followed by Priyanka being one plus at Nick Jonas’ cousin’s wedding. The couple have put the paparazzi and fans in dilemma after Nick Jonas accompanied Priyanka Chopra to India. Everyone is curious to know on what’s cooking between Priyanka Chopra and Nick Jonas. Besides, Priyanka Chopra has signed Bollywood movie Bharat opposite Salman Khan.